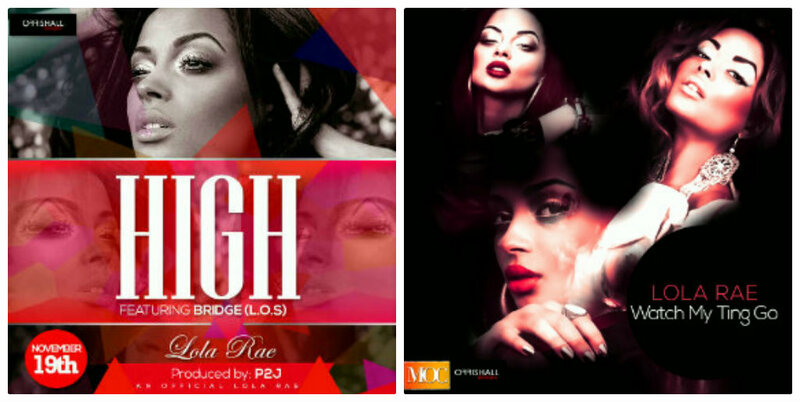 It's Just Mobolaji | Music & Entertainment: Introducing... Lola Rae + 2 New Singles "High" and "Watch My Ting Go"
Introducing... Lola Rae + 2 New Singles "High" and "Watch My Ting Go"
When I first heard about Lola Rae, my first question was "who is Lola Rae?" then thanks to some very good friends - I found out. 21 year old, Lola Rae (Rachel Funmilola Garton) is a British singer of Nigerian/Ghanaian and British heritage. The young upcoming singer who gained national recognition as a dancer in the street dance group "Myztikal" that competed in competitions such a GWI Street Dance Champions 2008: U18 Champions and even in ITV's hit show Britain's Got Talent in 2010. Rae's singing was that good that then-judge of the show - Simon Cowell singled her out at both the auditions and semi-finals of the show where later-on an offer that many dream of came across her path. Lola Rae had been offered to audition for Syco (Simon Cowell's record label). Instead she decided that it would be better for her if she benefited from finding out who she was as an artist and deciding on what she wanted to be - instead of people creating an image for her - good on you Lola Rae! With a jazzy/soulful sound accompanying her pretty face - Lola Rae recently starred in Ice Prince Zamani's most recent video to his single "More", where Ms Rae was the main character - playing the Ice Prince's love interest. Lola Rae who is often compared to artists such as the late greats - Nina Simone and Amy Winehouse doesn't box herself into the typical jazz and soul image she created for herself - the versatility in her voice and sound should not be put in one simple category. Has Lola Rae created her own genre of music? Lola Rae who worked with producer - P2J has released her first two official singles an upbeat tempo single titled "Watch My Ting Go" (which I've been singing non-stop since the day I heard it) as well as a more calm sultry single "High" featuring rapper - Bridge (from the group L.O.S.). Now that you officially know who this singing sensation is, enjoy her two new singles "Watch My Ting Go" and "High".